The Lincoln Stars tried to play the role of spoiler tonight at the Viaero Event Center for Tri-City's home opener, but the Storm squeezed out a 2-1 overtime shootout victory. The win snapped Lincoln's 10-game regular season winning streak against the Storm, going back to the 2011-12 season. With the loss, the Stars dropped to 0-1-1 on the season, but they did earn a point this evening. The Storm improved to 1-0-0. This "recap" will be very, very brief. I was not in attendance, nor was I able to watch the game on FASTHockey.com. I did listen to all of the radio broadcast, though. Like Friday night, the Stars came out very strong and outplayed their opponent in the first period. The Stars outshot TC 18-9 in the first twenty minutes, and were rewarded with a Jason Stephanik powerplay goal at the 9:56 mark of the period. Lincoln took a 1-0 lead into the first intermission. In the second, the Storm answered with a powerplay goal of their own at the 4:45 mark of the period to knot the game up at 1-1. Tri-City outshot Lincoln 9-8 in the middle period. Neither team would score in the third period, or the five-minute overtime period. Both teams put 11 shots on goal in the third period, and TC outshot Lincoln 2-1 in overtime. In the shootout, the first two shooters for Tri-City scored, but only one of three shooters for Lincoln found the back of the net. Luke Voltin was the only player for Lincoln to score in the shootout. Michael Bitzer stopped 30 of 31 shots in the loss. Jacob Johansson stopped 36 of 37 to get the win. Second straight night the Stars ran head first into a hot goaltender. Lincoln went 1-for-4 with the man advantage tonight, while the Storm went 1-for-7. For the first time in 5 preseason games, and 2 regular season games, the Stars surrendered a PP goal. The Stars have killed 35 of 36 powerplay chances against them going back to the preseason, and the first two regular season games. A bit of a slow start to the season, but it's still very, very early. The USHL regular season is a marathon, not a sprint. Although they haven't posted a win yet in the regular season, there are a lot of positives thus far for this young Stars squad. 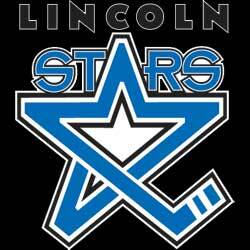 The Stars will be back at the IceBox this Friday night when they will take on the 0-2-0 Des Moines Buccaneers. There is a Husker volleyball game at the Devaney Center that same night (and time), so make sure you leave earlier than normal. Traffic will be a mess.